Interested in attending the Morganton Festival but need help getting here? The Historic Burke County Courthouse is the center of the festival. Use this map to get directions from your location: map for directions. Once you’re in Morganton, where to park & what to do? A festival map will give you a hand: Please check back closer to event date for the 2019 Map. 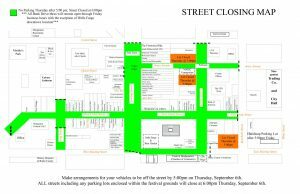 For those businesses affected by street closings, the following information informs you of street closings and provides you with a map of these closures. 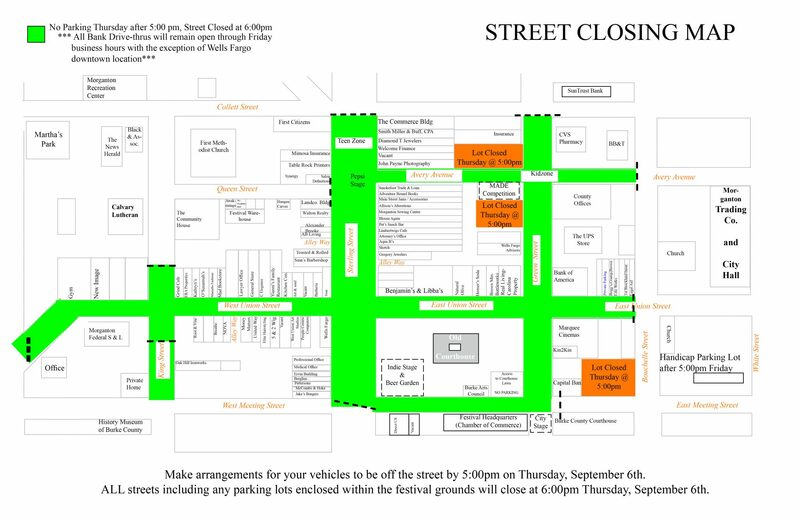 All streets will reopen Sunday morning by 6am. We thank you for your patience!